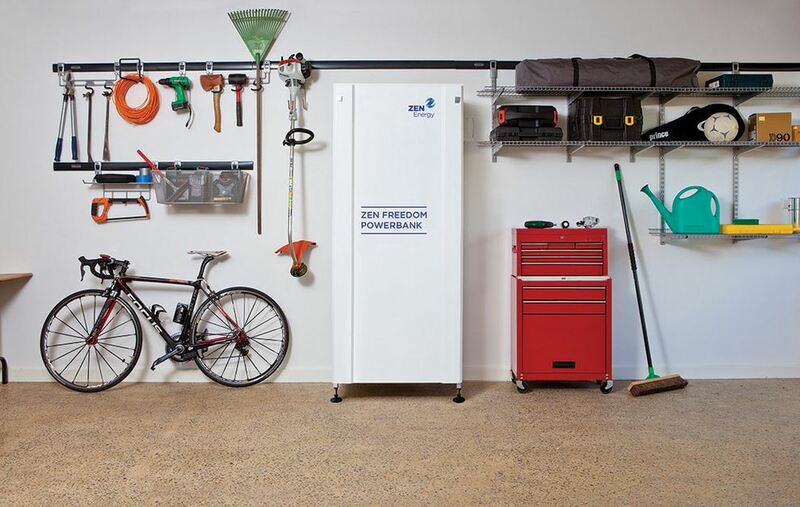 Adelaide-based energy storage specialist ZEN Energy enters the home battery market with its energy storage solution ZEN Freedom PowerBank. The system is ideal for larger or regional and remote households. It is available in three different sizes, ranging from 12.8 to 19.2 kWh in 3.3 kWh-steps. Its lithium-ion battery offers backup power for homes that want to go off the grid. The battery system has a warranty of 10 years and costs up from $19,750 (inc. GST fully installed). This battery is one of the few designed for going off-grid. With the emerging solar scene I was surprised by the lack of dedicated off-grid systems. Today there is more options and the PowerBank is a bit hitter. Designed in Australia, Zen products are very heavy duty from their batteries to solar panels. Like I mentioned the Powerbank has dual capability. It’s a contender for staying connected on the grid, or going completely off-grid. So it can be an option for saving money by powering it via solar or during low peak times, and then using that energy during times electric would be the most expensive. On the other side it can also be used for a remote areas that is not connected to a grid. If staying on-grid is the goal then you’ll be happy to know the PowerBank is fully prepared with a backup system. It’s fairly instant and clicks on when you need it. This does not cover a manual blackout however. If a blackout occurs from an electric company and you’re connected to the grid the unit will stop producing electricity as a safety measure. The warranty is broke down in to 3 parts. Product and installation warranty is covered for 5 years. While the battery warranty is good for 10. This offers more protection than other batteries which often just cover the battery inside. The actual process of installation and what you’ll need is entirely dependent on each home. Zen offers no cut and dry information about this but offers free consolation to those interested. Certainty the biggest deciding factor with any battery. When it comes down to storage per cost ratio other batteries knock it out of the park. Generally the battery is fairly expensive for the capacity you can get. 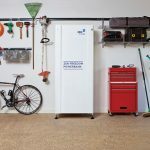 Tesla’s PowerWall is often the main comparison, and in this case depends on the reason for battery storage. So far none of Tesla’s batteries are designed for total off-grid use, and can cost a lot more trying to achieve that with their products. Again there is no final answer and ultimately is dependent to each situation. For those interested in the PowerBank I would recommend a lot of research on their site and competitors to ensure you’re getting the best price possible and wish you luck in your search!